Just a quick post. I found this nice specimen of a fishing spider at Audubon-Pennington park in Port Charlotte. Apparently this species goes through a brown phase and a black and grey phase. I’ll keep an eye out for the other phase. This entry was posted in Park, Spider and tagged Audubon-Pennington Park, nikkor 55-200mm VR, Nikon V1, Six-spotted Fishing Spider. 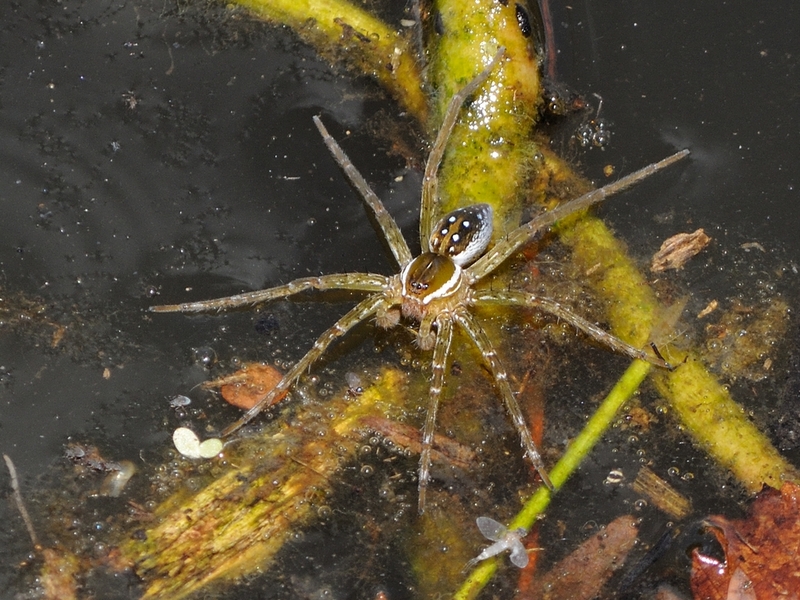 Dolomedes triton. Bookmark the permalink. Nice design… I hope we will be able to see the other phase. I can see the picture if I click on the link. It isn’t embedded as an image with the comment. It’s possible that facebook or wordpress doesn’t like embedding from the other site. Sure is a neat spider though.